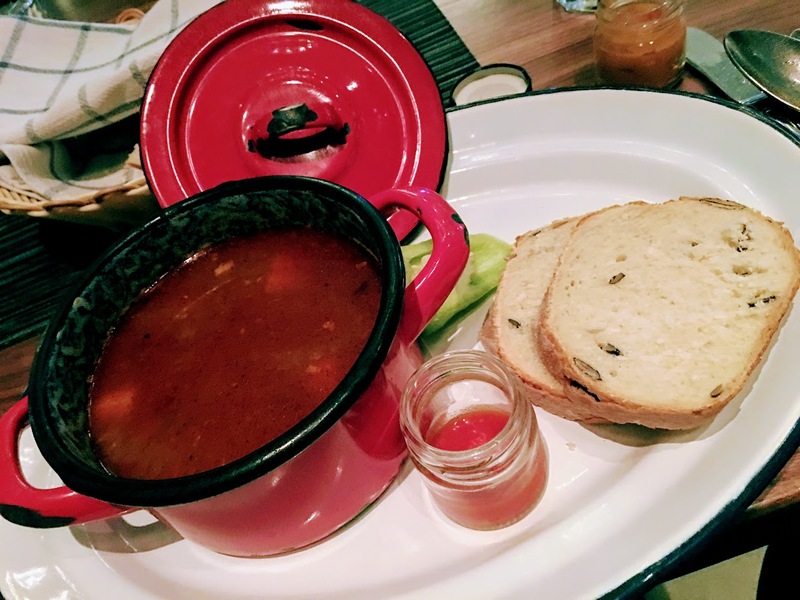 I had a late lunch so I only had one thing in mind for a later dinner after walking around Budapest – Goulash! 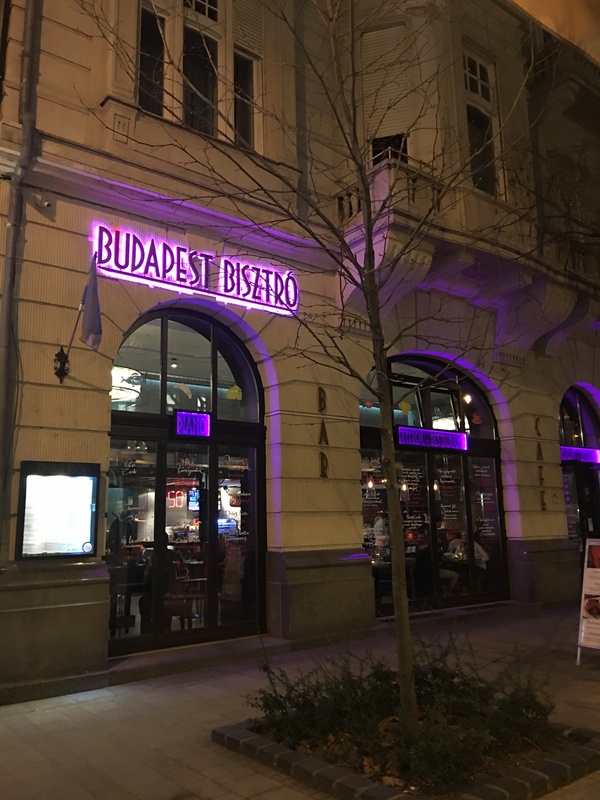 I wanted a nice place that served a traditional one in the red bowl and I found it in Budapest Bizstro. It’s a neat little place with a piano and some funky music. A cross between a lot of things. Went for a lemonade. This is the Grape and Elderberry version. 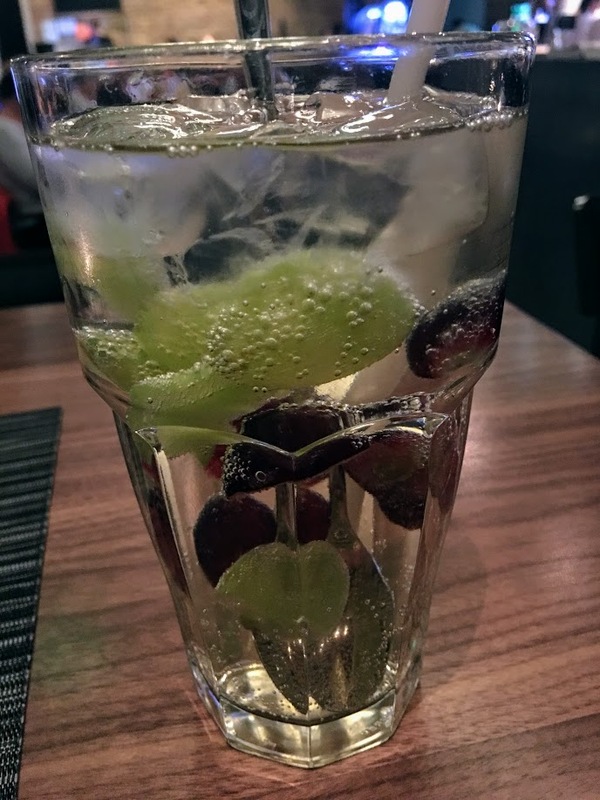 Lemonade is some lemon juice in soda water here, then infused with different fruits, herbs, etc. Quite refreshing and nice. 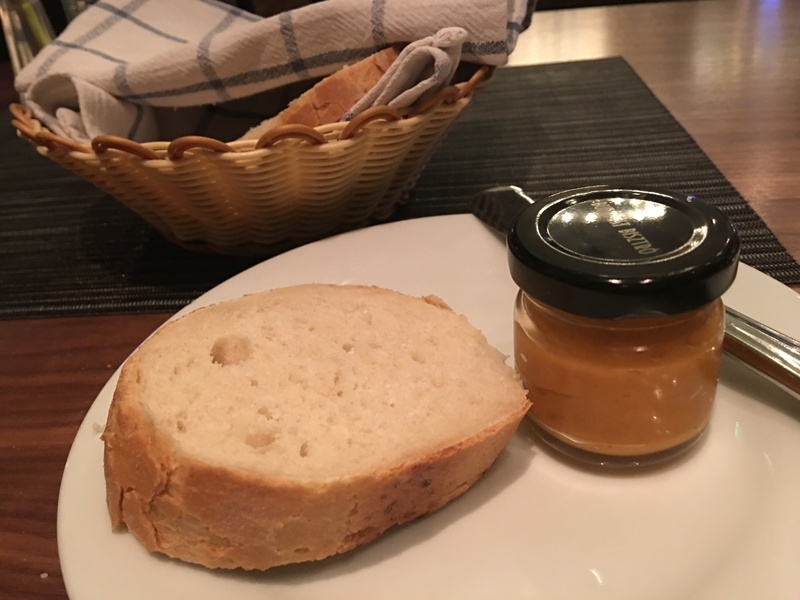 Was served some bread with a spread. Part butter and part savory. Quite interesting. The main event – Goulash! 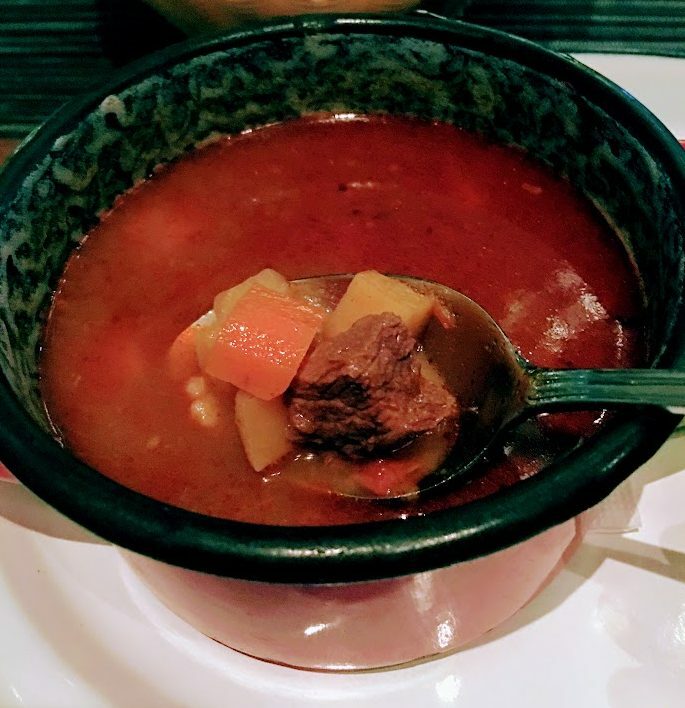 Beef with potatoes and carrots in a nice paprika broth. Served in a traditional red pot. Notice the chili in the small jar. That is quite a kick and really makes the goulash taste a bit better, it just elevates it! I think it all depends what you think about Goulash. For me, I always thought it was a little thicker than this, more like a stew rather than a soup. This seemed more like a soup. But tasty! Goulash. Yum! 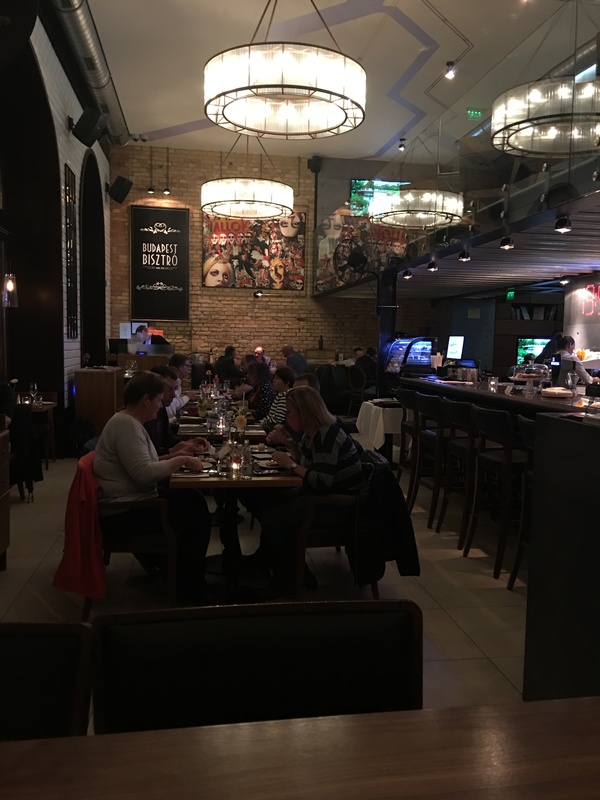 Posted in BudapestTagged Budapest, Goulash, HungaryBookmark the permalink.